We have some of the best clients, and now we have documented proof. Congratulations to Lacey & Larkin Frontera Fund for being named the Best (Left Wing) Political Blog by Phoenix Magazine in the November ’16 Best of the Valley issue. 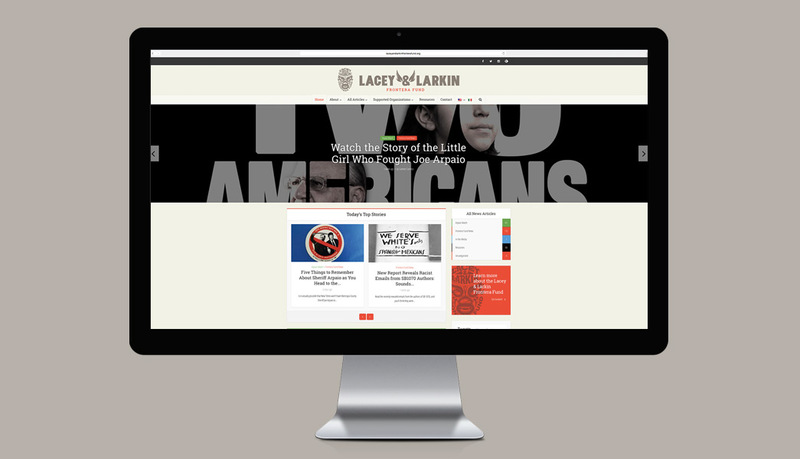 We designed the laceyandlarkinfronterafund.org site a few years back for the former owners of Phoenix New Times, Michael Lacey and Jim Larkin. There’s quite a story behind the blog’s origin, but we dare not go into details here. Let’s just say the site will surely be seeing increased traffic in today’s political climate. And for the record, we can’t take credit for the “intense-eyed luchador” logo – that credit goes to the talented Joe Ray.